is this mod and better animal plus compatible Animania mod? They replace Vanilla animal as well. So...? "It's already compatible, but animania will take hold on most of the vanilla content." 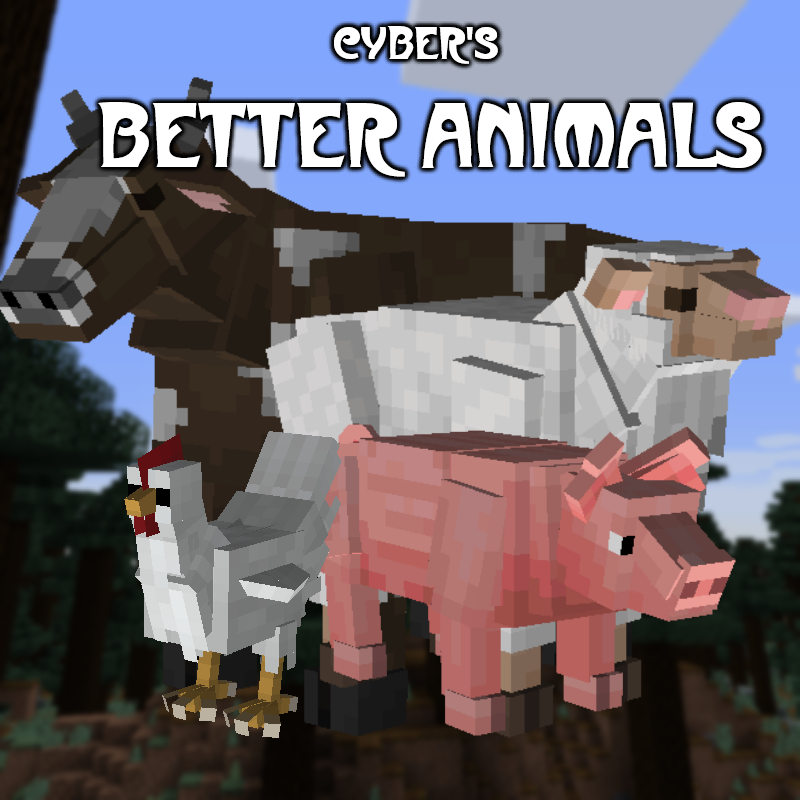 Animania replaces most of the Vanilla animals (cows, pigs, sheep) with new mobs, so it will not change those models. For unchanged mobs (wolves, spiders, polar bears) this mod will replace those models! How do we download this mod? Click the download button on the top right. You still have to install. If you want to install it automatically, download the Twitch client and use the mods tab. Will the dog collar be visible in future updates? Is there a config file to choose which animals to replace? Yes. It was added in version 3.1, make sure you are up to date. Hi! We just added this in version 3.1, out now. Will there be compat with animania? It's already compatible, but animania will take hold on most of the vanilla content. I dunno what this guy is talking about, but we replace vanilla models used in mods with our versions, so if it is a modded animal with a custom model, no, but anything that uses a vanilla model will be replaced. Example: sophisticated wolves use vanilla wolf models, so we will do compat on it.